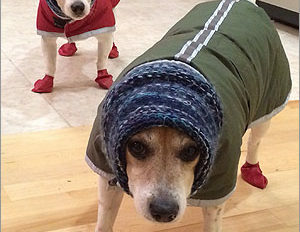 DO bundle up to keep warm! We all want to be warm during the winter. Unfortunately some of us live in drafty old apartments or homes where the central heating is insufficient, forcing us to rely on electric space heaters. Unless we are careful, these heaters can not only drive up our electric bills but also create a serious fire hazard. That’s why these safety prices are so important. Following them will help make sure that if you are using a space heater you are doing so safely and efficiently. DO plug heaters directly into the wall if possible, and use a heavy duty extension cord if not. DO purchase a newer, efficient model with an automatic safety value and temperature control. DON’T place near flamables or on furniture or carpeting. DON’T let pets and children get too close- keep them more than 3 feet away. DON’T ever leave space heaters unattended! TURN off and unplug when you leave the room. DO bundle up, keep warm and stay safe!